The next Season 3 fighter for Street Fighter V: Arcade Edition carries a big stick. The next piece of Street Fighter V: Arcade Edition's third season of fighters is set to arrive in the next week. Sakura and Blanka have already debuted, but now comes an all-new fighter to the franchise. Coming in with her own Psycho Power, it's Falke. Falke is no mere Doll, like Cammy or Decapre. She was built to be a straight-up clone of M. Bison himself, shaped into a fighter through intense Shadaloo experimentation. She fights with her staff that she calls Harmony, infusing it with Psycho Power and releasing it towards her opponents. That makes Falke a ranged fighter, with players able to hold a punch button to charge her Psycho Power. Releasing the punch button fires off a projectile, either straight at her opponent, towards her opponent from the air, or at her opponent's feet for a quick sweep. Her Psycho Trombe V-Skill uses Harmony to either hit for a quick combo or absorb incoming projectiles. 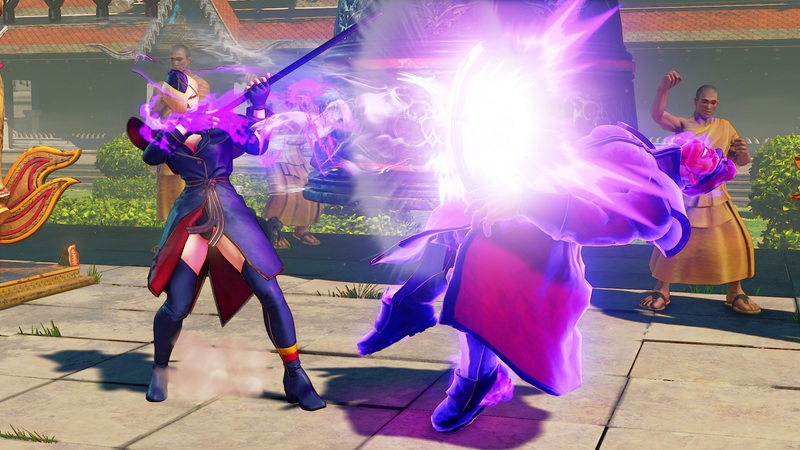 Falke's V-Trigger I powers up Harmony and also grants her the Psycho Shrot move, an enhanced version of her charged Psycho shots. Her V-Trigger II sees her twirl Harmony and launch her opponent skyward, opening them up to follow-up combos. She also gets the Psycho Strum move, which is a clubbing swing of Harmony that can be extended into greater combos. More details on Falke's arsenal can be found on Capcom-Unity. Look for her to hit Street Fighter V: Arcade Edition on Tuesday, April 24. She'll go for $5.99 or 100,000 Fight Money or come as part of the Season 3 Character Pass.